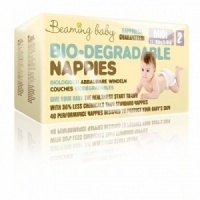 We know that Parents need to change their baby’s nappy up to 10 times a day. Imagine wiping those ingredients (on the other side of the page) on your baby’s skin 70 times per week and then locking them in with a nappy. There is no product that you would use that many times, even as an adult. Citrus Grandis seed extract – aka grapefruit seed extract ...and that's it! Many other non eco baby wipes contain harsh chemical ingredients - even the "sensitive" or "pure" ones. Check the back of the pack next time to see for yourself. Chemically manufactured preservatives. Parabens have been found in breast cancer tumours. Our wipes are made in a highly controlled sterile environment and WaterWipes use grapefruit seed extract as a natural biocide to keep the pack fresh (in case your fingers bring some bacteria to the during the change of baby). This is grease from animal fur, aka ‘wool fat’. It is used in shoe polish and rust-proof coatings. Needless to say, our WaterWipes don’t have lanolin. Babies’ skin is ultra thin, why would you want to put alcohol on their skin? Alcohol causes harsh skin sensitisation. It usually implies a mix of ingredients, possibly including phthatates. Babies need cleaning, not perfuming, We don’t use perfume in our wipe as it can inflame baby skin. They are chemicals used to make plastics more flexible and harder to break. Bisphenol A is the name to watch out for as well as DBP, DEP, DEHP, BzBP, DMP… No thanks! A widely used range of chemically made preservatives (look for E211 & E212. The UK Food Commission qualified it as " irritant to the skin, eyes and mucous membranes" - They are also linked to cancers and asthma. Not in WaterWipes. A cancer causing antimicrobial agent (when combined with chlorine). It causes hormone disruption… No, that’s not one for baby’ skin! Or ours for that effect! 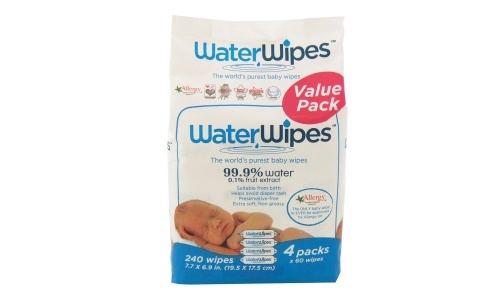 Water wipes are a great product, they are Irish made and have no chemicals in them. The value pack is handy as I change alot of nappies! !